So, this giveaway is promoted by Harlequin. Thanks a lot! 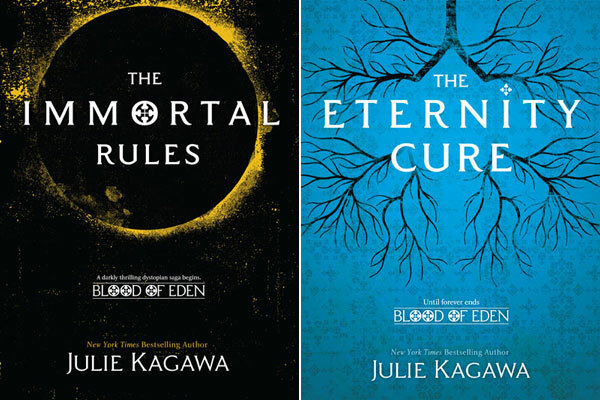 You can choose 3 books written by Julie Kagawa. I'm sure you know which published books she has written, but here is a reminder. The Giveaway is open for both US and International people. The Iron King..Thanks for a Great Giveaway!! That's hard, they are all good! The Immortal Rules was fabulous, so I think I'll say that one! I haven't read a Julie Kagawa book yet! The Iron King Mostly. I really liked it! I've only read Iron King so far, so that one is my favorite! I've read the first 2 Iron Fey and Immortal Rules so far and I have to say I'm leaning more towards IR because it's darker and edgier. My favorite is The Immortal Rules. Don't throw things at me, but I haven't read any of them yet. I own 3 or 4, but are sitting on my shelf awaiting reading. I haven't read any of her books! So, I wouldn't know, but I'm very much interested! Thank you for the giveaway! The Immortal Rules is the only one I've read so far. The Iron Queen ^.^ Best one out of the whole amazing series! Iron King!! The first one to ensare me. rawr! The Immortal Rules is the only one I have read so far...but I really enjoyed it! so looking forward to read them! I haven't read any of these books yet, but I hope to soon! Such a tough choice, The Iron Queen and The Iron Knight are both great! I have only read The Iron King but I really love it, thank you for the giveaway! The Iron Fey series. It totally rocks! I haven't read any yet, but I want to.Thanks for this giveaway! My favorite is probably The Iron King because it's the first one of her books that I read. I've liked everything I've read of hers though. The Immortal Rules was great! I've only read The Iron king so far and I LOVED IT!!! because of that I can't say which one is my favorite but it is definetely one of my favourite series! I haven't read any of her books but they looks awesome from the reviews I have read. The entire Iron Fey series was amazing! The Iron King was really good! My favorite so far is Immortal Rules!! I own all the Iron Frey and they are awesome. I would love to get her new books! Thanks for the contest. It's hard to say, they're all awesome! But I think The Iron Knight is my favorite. I would have to say the best one is The Iron Legends. I can't choose my favorite out of the Iron Fey, I love all of the books equally! But I guess if I have to choose one, it would be The Iron Knight. I love all the interaction between the characters and it was a wonderful adventure. Thanks for the giveaway! 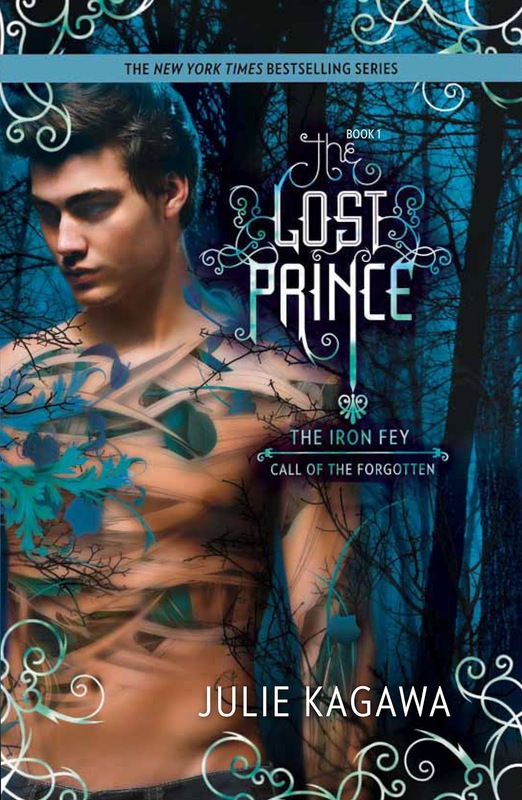 The Iron Fey and The Lost Prince are my favorite! 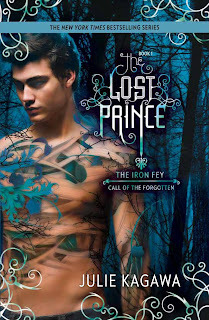 I love The Iron Fey series! Really, I'm in love with Julie Kagawa's style. I'd have to say my favorite is The Iron Queen! This giveaway is awesome! Thank you. The Immortal Rules is my favorite! i love all the books! i love Julie's writing style and i could never get bored of the book unlike other books i put them down but if it's Julie Kagawa's book i could never seem to stop till im done with the book! All her books are amazing, but my favorite is definitely The Immortal Rules. The Immortal Rules in my favorite! My favorite is The Iron King. Because is so dark and exciting. Well actually is awesome. 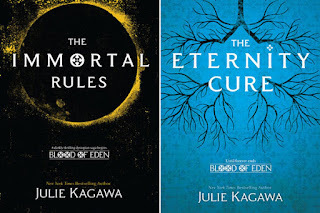 I haven't read any book by Julie Kagawa yet,though I already have 2 book from the Iron Fey series I'm trying to get all the books before start reading,so I can read the whole series all at once! What a wonderful giveaway,thank you so much and congrats for your blog,it's great!!! All the Iron Fey Series, but the best is The Iron Queen, I love Ash in this book. So far I have only read Iron King but I LOVE it already! I want all her books!! I totally love Puck. He's the best! I've got the iron fey box set, I think Iron Queen is my favorite!